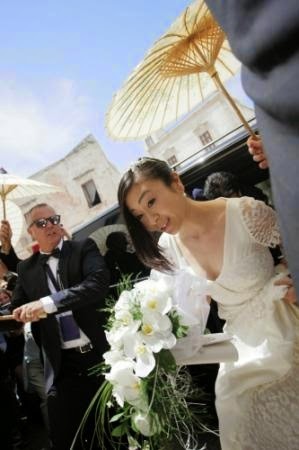 Singer songwriter Utada Hikaru(宇多田 ヒカル) (31) and her bartender fiance Francesco (23) were married today on May 23rd, 2014(Local Time) at Polignano a Mare in Southern Italy. 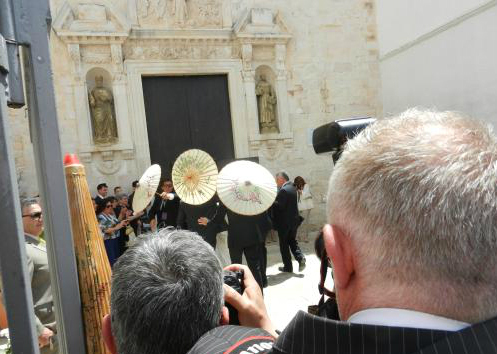 In an attempt to block the media from taking pictures of her, there were about 7-8 bodyguards shielding her with umbrellas when she entered the church. 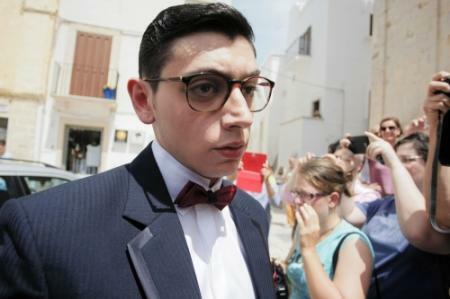 The wedding of "POPSTAR from Japan and the boy from Southern Italy" drew huge attraction from local media. Onlookers of about 300 flooded the area trying to catch a glimpse of the two. The groom arrived about 25 minutes later than the scheduled time at 12:25pm. Utada then arrived in a black Mercedes Benz with tinted black window. You could hear the locals blessing the couples by saying "complimenti! (Congradulation)" outside the church. Utada was seen wearing a simple white wedding dress. Japanese media wished her "Congratulation" but there were no reactions from her. Attendees to the wedding were given advanced notice that photography would be prohibited at the ceremony. 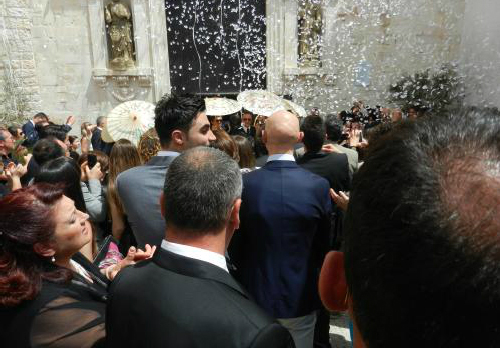 After the ceremony, they headed to "Casa Vinicola Abbazia Di San Gaudenzio" for the wedding reception, the venue was a converted monastery in the city of Fasano, the birthplace of the groom. Again, they newly married couples are being heavy guarded with bodyguards anywhere they go. I know Fasano very well since it's my father's hometown and, actually, the wedding reception was held in "Abbazia San Lorenzo". Justin Timberlake, also held his wedding reception in Fasano, but in a different venue.